is a Maryland 501(c)(3) tax exempt program dedicated to providing young women experiencing economic and/or situational difficulties with essentials, education, and wellness resources. They break concentration and make the future seem impossible. Giving clothes, school supplies, financial contributions and necessities are GREAT. Education gives everyone the tools they need to succeed. Constantly check our EVENTS page for the latest offerings from us and other organizations. Everyone has something to offer; whether it is time, a skill, a caring heart and/or listening ear. Montgomery County school students can earn training SSL hours. Like us on Facebook to see our photos & videos and to stay updated! 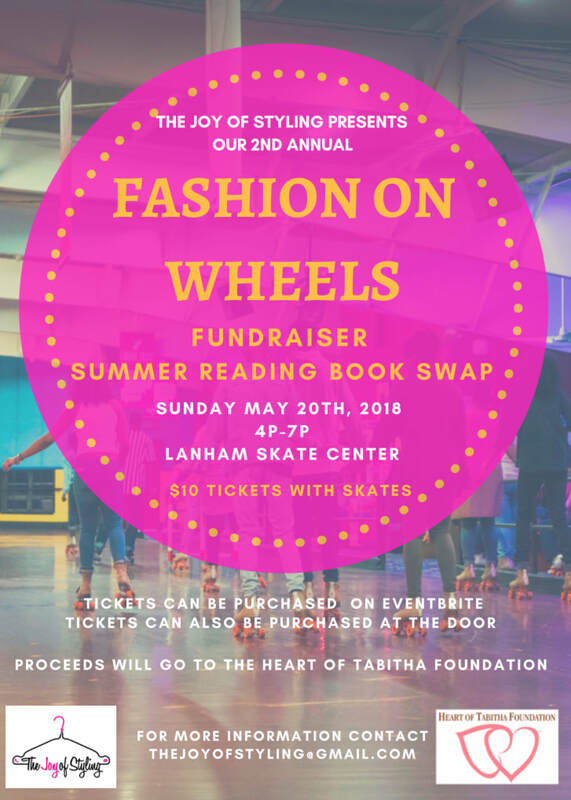 If you are out of state and would still like to participate, donations are welcomed to cover tickets for local youth to attend Fashion on Wheels. Please join us in enriching the educational experience of Montgomery County students who attend Title I schools. Through much generosity last year, we were able to provide backpacks and school supplies for over 500 students! Thank you for your donation for the 2018-2019 school year! 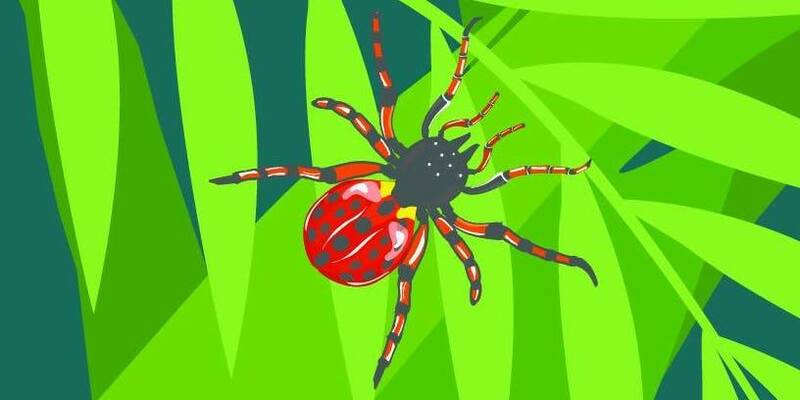 We are a 501(c)(3) organization, so your contributions can be tax deductible. Thank you to our partners at The White House Studios for an awesome event, sharing art and culture in the Takoma Park, MD community through the Caribbean Folklore, Anansi. We Are Featured In Sista's Keeper Magazine! Our health initiative - #HerYellowRibbon has been featured in the March 2015 issue of Sista's Keeper Magazine! The Breast Cancer Walk was a SUCCESS! Click here to view photos from out walk to END Breast Cancer! - In honor of our Vice-President, Patricia Williams! 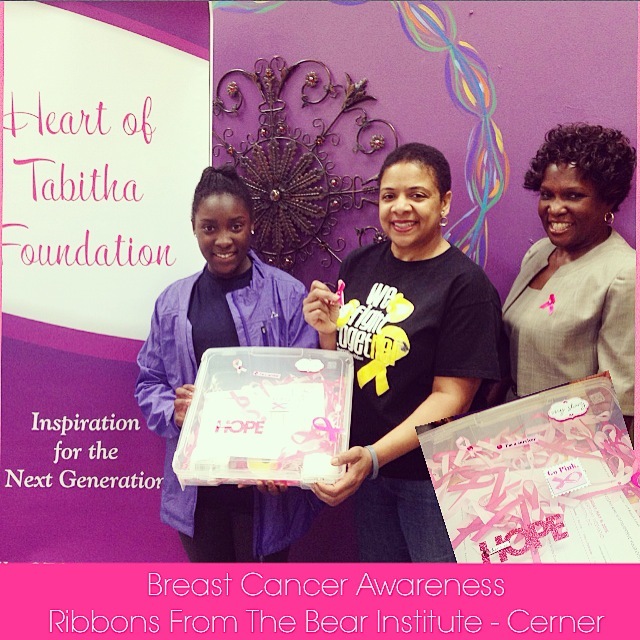 In partnership with ChemoFriends & GapBuster, Inc.
Special THANK YOU to Cerner & The Bear Institute for Donating Pink Ribbons for our team! A special congratulations to our Junior Ambassador, Angelique, on excelling in high school and going off to college! We are so proud of you! Do you want to learn how to land a great internship? We'll have professionals come and show you how! Do you want more guidance on the college process? We'll guide you! Do you want to learn how to write a winning resume and have a successful interview? We’ll teach you! If you answered yes to any of these questions, come join us Wednesday, July 18, 2018 – Friday, July 20, 2018! 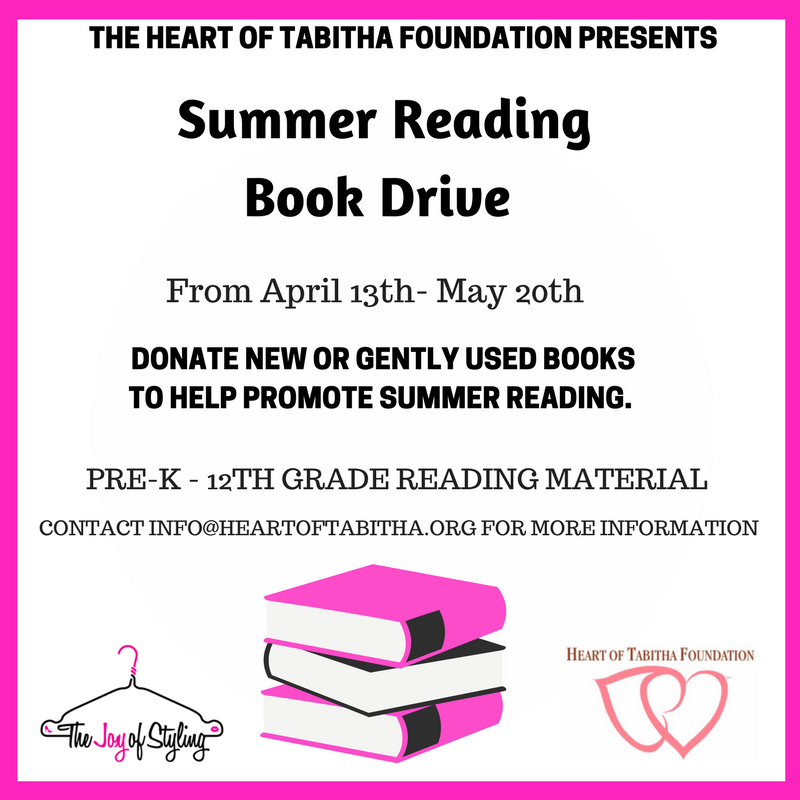 If you are a professional who would like to inquire about speaking students, please contact us at info@heartoftabitha.org! You can view photos from the program here! Heart of Tabitha volunteers will provide lunch and cold weather essentials to residents at the Interfaith Women's Center in Rockville, MD. The Center is a 70-bed emergency shelter serving approximately 300 women per year. Case managers work with women to facilitate recovery and stability, as well as connect them with housing, medical, mental health, and social services. Your donation will help us support the Interfaith Works Women’s Center residents as well as our ongoing mission to inspire and empower young women for the next generation. Suggested Wish List/Care Packages: Gift cards (any amount) to local stores such as Target, Kohl’s, Kmart, Giant, and Safeway. Tote bags, warm under layers, slippers, coats, scarves, hats, gloves, purses, essential toiletries, washcloths, warm slippers, warm under layers. Toys, puzzles, books, board games, arts and crafts sets. The Interfaith Works Women’s Center is always in need of dish and liquid laundry detergents, coffee, powdered creamers, and large hand sanitizers. You may also donate to Care Packages at www.heartoftabithafoundation.org. See Mix 107.3's article for more details on how to support this project! 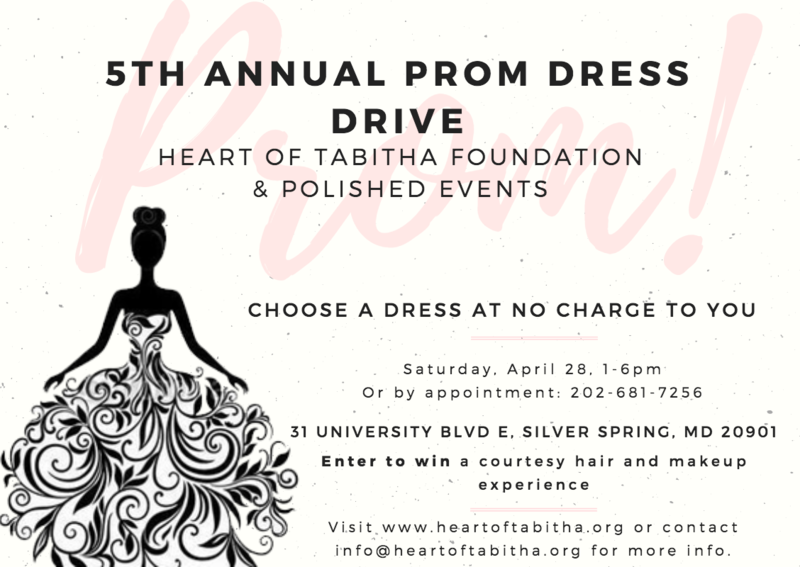 ​The Heart of Tabitha Foundation is hosting its 5th annual Prom Dress Drive! Special occasions such as Prom & Graduation are right around the corner! Help us support young women in need of beautiful dresses for their next event. Are You Looking For A Dress? Our Dress Shop will open for all young women who are in need of a dress in MD on Saturday, April 28, 1-6pm and also by appointment! Try-on and pick out the gown of your dreams!